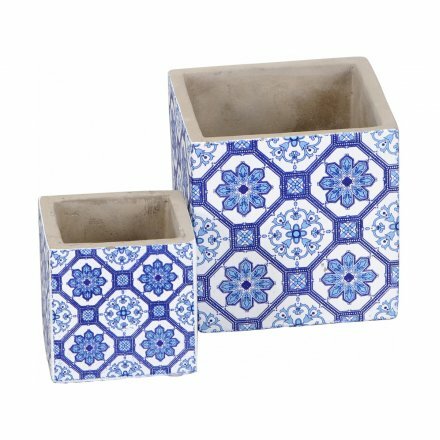 A set of 2 square planters with a bright blue floral design. An attractive gift and planter. Priced per set of 2. Sold in multiples of 2.